People: Albert S. Bard, Andrew Carnegie, Jacob M. Kaplan, Richard M. Olcott, James Polshek, Nelson Rockefeller, Eleanor Roosevelt, Editta Sherman, Robert E. Simon, Jr., Edward Steese, Isaac Stern, William Burnet Tuthill, Robert F. Wagner, Jr.
Carnegie Hall was constructed between 1889 and 1891. Andrew Carnegie, the significant American industrialist with a love of music, was the major benefactor of the project.1 It became one of the most prominent music halls in New York City, as well as in the United States, and it remains an important icon today. The façade of Carnegie Hall exhibits a prominent Italian Renaissance Revival-style of reddish brown Roman brick combined with “bandcourses, arches, pilasters and other terra cotta decorations.”2 The interior of Carnegie Hall was built using the Guastavino process, with extremely thick concrete and masonry walls. This technique allowed the Hall to have outstanding acoustic properties. Additionally, the structure includes a 15-story tower that has traditionally been used to house artists and performers. Carnegie Hall is currently designated a New York City Individual Landmark. The Hall was designed by architect William Burnet Tuthill. Its original plans included three main performance halls: the Main Hall, a recital hall, and a chamber music hall. The Main Hall seats 2,804, and is the largest performance area in the building. The Recital Hall, which seats 1,200, was leased to the American Academy of Dramatic Arts in 1895 and used as a theater by many groups until the 1960s. It has since been converted into a cinema. The Chamber Music Hall, which seats 268, is the smallest and most intimate performance space. It was intended to be “suitable for lectures, readings, and receptions as well as chapter and lodge rooms for secret organizations.”3 Carnegie Hall underwent extensive renovations in 1983 and 2000. Additionally, a 60-floor office tower, the Carnegie Hall Tower, was constructed directly next to the music hall between 1987 and 1989. Carnegie Hall remains one of the premier music halls of New York City. 1956: The Glickman Corporation intends to purchase the Hall and turn it into a large office building. The Committee to Save Carnegie Hall forms to protect the landmark. Glickman is unable to buy the building for unknown reasons. Carnegie Hall has changed ownership several times throughout its history, beginning in 1925 with its purchase by New York realtor Robert E. Simon. Simon bought Carnegie Hall from Andrew Carnegie’s wife six years after Carnegie’s death. When Simon died in 1935, his son, Robert E. Simon, Jr., took over its management. Against his wishes, Robert E. Simon, Jr. was forced to put the Hall up for sale in 1955; it was too expensive to maintain a music hall in New York City, and the real estate market was pushing for new development.4 The building was to be sold to the Glickman Corporation and turned into a large office building. In 1960, however, the Committee to Save Carnegie Hall would have to fight once again to save the building. On January 5, 1960, Robert E. Simon, Jr. announced that Carnegie Hall would be demolished in a matter of months. 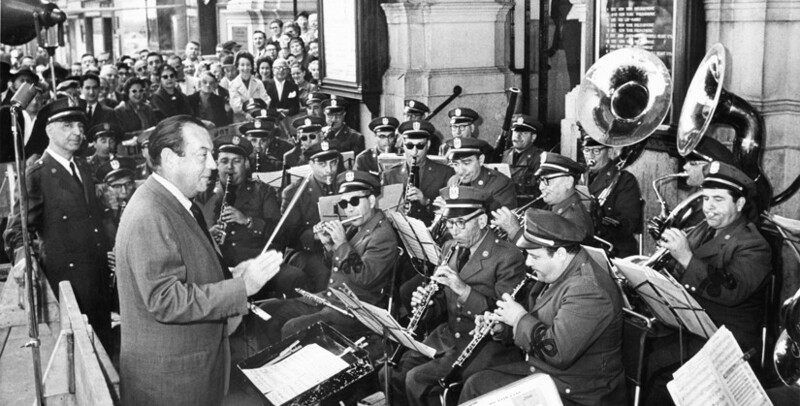 This was after the New York Philharmonic, the Hall’s major tenant, decided to move to the newly-constructed Lincoln Center, which left Carnegie Hall without a reliable source of income. Many famous musicians joined the overwhelming support for saving the building. According to author and historian Anthony C. Wood, “It was Carnegie Hall’s historical and cultural significance, its acoustics and the magic conjured up by its very name, that motivated those seeking to save it.”7 In 1960, after enormous effort by the Committee to Save Carnegie Hall and the passing of the Carnegie Hall Bill through the New York Legislature, New York City purchased the Hall for $5 million. It remains the owner of the structure to this day. The Citizen’s Committee for Carnegie Hall played a big part in the Hall’s preservation. Classical violinist Isaac Stern, who had been a key figure in the organization of the Committee to Save Carnegie Hall in 1955, began further preservation efforts for Carnegie Hall in 1959. He enlisted the help of wealthy philanthropist Jacob M. Kaplan, and together they decided that litigation would be the best possible strategy to save the building.8 After the demolition announcement in 1960, the Citizen’s Committee for Carnegie Hall was established with Stern and Kaplan as its co-chairs. The two men were able to enlist many important people in the effort, including Eleanor Roosevelt and Albert S. Bard, but they knew that a lot needed to be done to protect Carnegie Hall. The Carnegie Hall Bill was a major piece of legislation that ensured Carnegie Hall’s future preservation. The Citizen’s Committee for Carnegie Hall’s plan to save the building depended on the enactment of two pieces of legislation. One would create the Carnegie Hall Corporation, which would become a not-for-profit organization to take over the music hall.9 The second would give New York State the power “to acquire by condemnation any ‘property with historic or esthetic interest or value.’”10 This second piece of legislation is what would come to be known as the Carnegie Hall Bill. In the years following the renovation, a debate ensued concerning the Carnegie Hall Studio Towers, which the Carnegie Hall Corporation had started gutting and converting to “educational facilities” for young people.14 Originally, there existed 170 of these studios, which were rented out to artists and performers; at the end of 2007, only 33 of these apartments remained. The seven rent-controlled tenants were told that the Corporation would find a comparable apartment in the City and that their rent would be subsidized for the rest of their lives. The 26 remaining tenants who did not have rent-controlled apartments were given no such courtesy, and several received eviction notices. Editta Sherman, the longest-living resident of the Carnegie Hall Studio Towers, took an active stance against these evictions. In December 2007, a New York civil court judge ruled in favor of the Corporation, but a group of tenants, including Editta Sherman, has appealed the decision. New York City Landmarks Preservation Commission, “Carnegie Hall Landmark Designation Report,” 20 June 1967. 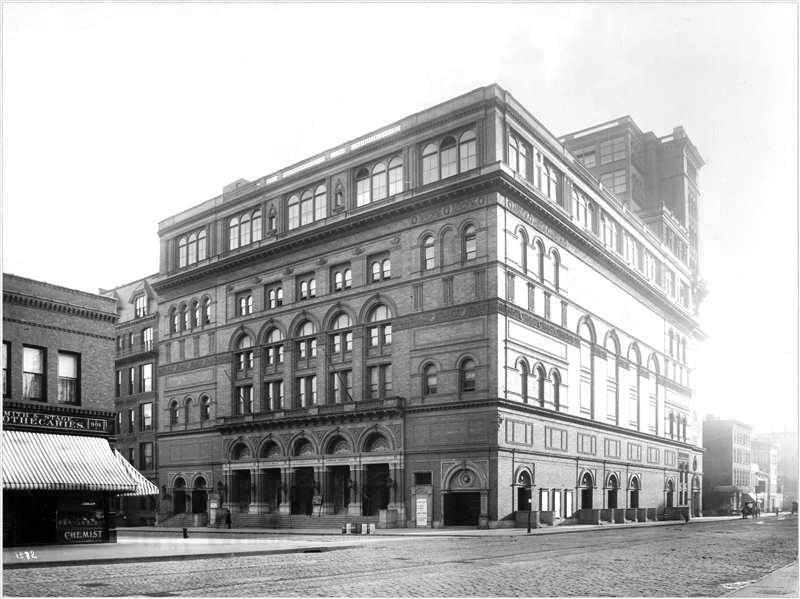 Carnegie Hall Corporation, “Carnegie Hall Then and Now,” 2001. “To Preserve Carnegie Hall; Its Value as an Architectural and Cultural Landmark,” The New York Times, 3 August 1955. Eric Pace, “Louis J. Glickman, 94, Investor Linked to Carnegie Hall Deal,” The New York Times, 21 June 1999. Anthony C. Wood, Preserving New York: Winning the Right to Protect A City’s Landmarks (New York: Routledge, 2007), page 252. Allan Kozinn, “Violinist Isaac Stern Dies at 81; Led Efforts to Save Carnegie Hall,” The New York Times, 23 September 2001. “Saving of Carnegie Hall Enabled in Bills Signed by Rockefeller; Rockefeller Acts on Carnegie Hall,” The New York Times, 17 April 1960. Herbert Muschamp, “Architecture Review; Zankel Hall, Carnegie’s Buried Treasure,” The New York Times, 12 September 2003. Wendy Goodman, “Bohemia in Midtown,” New York Magazine, 30 December 2007.